For those of you that have been following the production of our short political thriller we’ve produced with Consurgo Films, we’re excited to announce that we can see the light at the end of the tunnel! Our goal has always been to submit to the festival circuit and we’re a few steps closer to wrapping on post production and begin submitting. 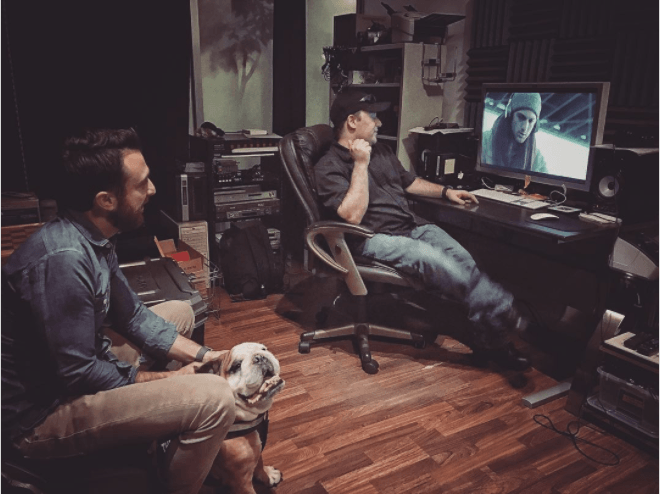 Ed Cipolla, our lead editor on the film, spent countless hours in the edit suite with director Tim Viola to lock picture over the last few weeks so that Tim and producer, Kris Mendoza could head to LA to jump into finishing. Color and VFX were done over at FX Studios and are near completion. Upon completion of color and VFX, the film is coming back to Philly for scoring and a final sound mix. Christian Mariano, a Bucks County native now living in Queens, NY is slated to compose original music for the film and the final audio mix will take place at Shake Audio over at Milk Boy. It’s been exciting to see the film really begin to come alive with all of the final elements coming together. We look forward to circling back and updating our cast, crew, and Kickstarter backers on the road ahead with the festival circuit. Late night color session on the left coast for @americanofilm.